What follows is a perambulation of the political theology of Hobbes on display in his magnum opus Leviathan. This is a self-conscious exercise in anachronism. Suffice to say, Hobbes was not aware that he had something called a “political theology” or that in writing Leviathan he expounded such a thing. But Hobbes wrote at a time when political philosophy proceeded from explicit theological commitments and took for granted the relevance of Christian Scripture to political discourse. Hobbes is probably best known for his famously pessimistic anthropology, which posited that the natural “condition of Man…is a condition of Warre of every one against every one” (Leviathan I, 14). The remedy he proposed to the pre-political insecurity of humankind has grown ever more controversial with the passage of time, for in terms of modern categories it sits rather uncomfortably in the orbit of authoritarianism. The essence of Hobbes’ theory of government lay in the notion that men “conferre all their power and strength upon one Man, or upon one Assembly of men, that may reduce all their Wills, by plurality of voices, unto one Will: which is as much as to say, to appoint one man, or Assembly of men, to beare their Person; and every one to owne, and acknowledge himselfe to be Author of whatsoever he that so beareth their Person, shall Act, or cause to be Acted…and therein to submit their Wills, every one to his Will, and their Judgments, to his Judgment.” (II, 17). Hobbes described a “Multitude so united in one Person” as “that great LEVIATHAN,” bequeathing political thought with one of its most memorable and enduring metaphors. This leviathan acted as “that Mortall God, to which wee owe under the Immortall God, our peace and defence” (II, 17). The most controversial aspect of Hobbes’ account of government was the idea that nothing this mortal God “can doe to a Subject, on what pretence soever, can properly be called Injustice, or Injury; because every Subject is Author of every act the Soveraign doth” (II, 21). The moral justification for vesting such unbridled power in one man or assembly of men, aside from the liberation of man from his natural state of war, rests on the notion of “covenant,” which Hobbes took from the Abrahamic covenant of the Old Testament. Hobbes believed that men voluntarily enter into mutual covenant, implying therefore that people have in some sense consented to the type of sovereign power for which he advocated. Hobbes explained the methodology he used to develop his theory of government (in Part II—“Of a Common-wealth”) with the following revealing comment: “I have derived the Rights of Soveraigne Power, and the duty of Subjects hitherto, from the Principles of Nature onely…that is to say, from the nature of Men, known to us by Experience…” (III, 32). He would go on to clarify that in Part III—“Of a Christian Common-wealth” “there dependeth much upon Supernaturall Revelations of the Will of God” (III, 32). Notwithstanding the methodological demarcation Hobbes sought to draw between his “discourse” on a Commonwealth and that of a Christian Commonwealth, in reality both discourses involve wide-ranging discussion of God, scripture and Christian doctrine. This is because Hobbes takes God to be the author of the natural laws from which he develops his principles of sovereign power in the first place. God’s sovereign power and rule are manifest in and realized through the natural laws that Hobbes says govern political order. By natural laws Hobbes really means moral laws. God’s sovereignty is therefore a foundational idea in Hobbes’ political thought. The all-powerful sovereign who can do no wrong to his subject is himself still subject to God’s own sovereign power, exercising a delegated power as God’s “lieutenant,” and is “bound thereby to observe the laws of Nature” (11, 21). Indeed, one of the primary tasks of the sovereign, according to Hobbes, is to impel men to live in accordance with the laws of nature. The fundamental theopolitical principle at work in Leviathan, then, is that of “delegated divine rule.” In theory, God rules the world through reason and the laws of nature. In practice, God rules through mortal human gods whose power is constrained only by their propensity to rule according to the “dictates” of reason. The senses, experience and reason, Hobbes argued, are “the talents which…[God]…hath put into our hand” to be “employed in the purchase of Justice, Peace, and true Religion” (III, 32). Politics is therefore principally a rational endeavor, where reason is used to discern the laws of nature. We might venture heuristically to characterize Hobbes’ political theology as rationalistic and natural. Hobbes made a distinction between natural laws, which were eternal, and positive laws (also civil laws), which were made by the will of the sovereign. In turn, positive laws could be human or divine, the divine being eternal like natural laws, but unlike natural laws are revealed and are not universal (II, 26). In reality, divine positive laws were those deemed compatible with reason and natural law by the sovereign, thus making the sovereign the sole arbiter of divine law. Hobbes conceded that there were “many things in Gods Word above Reason; that is to say, which cannot by naturall reason be either demonstrated, or confuted” (III, 32). However, he maintained that any ostensible clash between reason and revelation was merely indicative of either “unskilfull Interpretation, or erroneous Ratiocination” (III, 32). In other words, where there was a choice between reason and revelation, then one should err on the side of reason. The primacy of reason over revelation can be seen in the criterion Hobbes laid out for determining the validity of divine law: “in all things not contrary to the Morall Law, (that is to say, to the Law of Nature,) all Subjects are bound to obey that for divine Law, which is declared to be so, by the Lawes of the Commonwealth.” (II, 26). In other words, the divine law revealed in Scripture had to justify its compatibility with reason and natural law before it could be said to command obedience, and then only on the authority of the sovereign. It is important to note that Hobbes (a member of the Church of England) identified the sovereign with the church, because the latter “consisteth in Christian men, united in one Christian Soveraign” (III, 33). The priority of reason in Hobbes’ political vision is particularly evident in the way he deals with the kingdom of God, one of the great preoccupations of Leviathan. The kingdom of God represents one of the more difficult ideas to untangle in the book. It assumes different sense which are not always clearly or coherently integrated. Notwithstanding this complexity, one constant shines forth: the kingdom of God is “literal,” i.e., it only ever refers in Scripture to a tangible, earthly kingdom. In the first instance, the kingdom of God represents God’s rule over the natural world, captured in Hobbes’ pregnant phrase: “the naturall Kingdome of God”: “Naturall, wherein he governeth as many of Mankind as acknowledge his Providence, by the naturall Dictates of Right Reason” (II, 31). Hobbes even regarded obedience to God’s natural laws as “the greatest worship of all” (II, 31). He also understood the kingdom of God to relate to Israel, the beginning of which he quixotically dates to the Mosaic period and ends paradoxically with the rise of the monarchy inaugurated by the usurper Saul. But Hobbes then extends the notion of the kingdom of God so that it becomes identifiable with the civil commonwealth, which is to say that the kingdom of God is actually the Hobbesian leviathan: “It is therefore manifest enough…that by the Kingdome of God, is properly meant a Common-wealth, instituted (by the consent of those which were to be subject thereto) for their Civill Government, and the regulating of their behaviour…” (III, 35). Hobbes even construes “salvation” as the establishment and maintenance of a civil commonwealth. He maintained that “to be saved, is to be secured, either respectively, against special Evills, or absolutely against all Evill…” (III, 38). And given “kingdom” represents “an estate ordained by men for their perpetuall security against enemies, and want…it seemeth that this Salvation should be on Earth”(III, 38). The advent of Christ, for Hobbes, renewed the Abrahamic covenant breached by the rise of the Israelite monarchy and restored the kingdom of God in the form of the Christian commonwealth. In the future, Christ would return to inaugurate and rule the “kingdom of Christ” which would assume the form of a real, tangible civil kingdom on earth—(Hobbes understood heavenly reward and the punishment of hell as referring to experiences here on earth). The more one reflects on the theopolitical logic of Leviathan the more the impression grows that Hobbes’ intent was not to expound a theologically-warranted polity so much as to relegate the role of theology to the very margins of politics. For Hobbes subordinates revelation to reason, God’s kingdom to the civil commonwealth, and divine law to the civil legislative authority of the sovereign. Moreover, salvation is reduced to the peace and security wrought by a mortal god in the form of a sovereign, rather than in the resurrection of the son of the immortal God, in whom all sovereign power finds its origin. Political context is destiny when it comes to political theory, and it is not difficult to infer a motive for Hobbes’ subjugation of theological or revealed politics to a merely Christian civil politics. The royalist Hobbes was writing in the twilight of England’s abortive Christian republican commonwealth ruled by a man who claimed to be acting on direct divine inspiration—those, who like Cromwell, “pretended for their disobedience to their Sovereign, a new Covenant, made, not with men, but with God” (II, 18). Given Hobbes is indisputably regarded as one of the giants of Western political thought, and on any definition Leviathan contains to some extent a political theology, why has he been so widely ignored in contemporary political theology literature? Several possibilities recommend themselves. One possibility is that Hobbes’ political vision of subjects surrendering their will to a mighty sovereign power is so deeply out of step with the idea of democratic citizenship that informs most political theology today, whether left or right, that Leviathan is not deemed a credible or productive “conversation partner” for contemporary political theology. Another possibility is that the unorthodoxy of much of Hobbes’ theology and biblical exegesis makes the political arguments derived thereof highly suspect for orthodox theologians, across the breadth and depth of historical traditions and contemporary schools. Interestingly, Hobbes was conscious that some of his views were discordant with the theological orthodoxy of his own day, admitting, for instance, that his “doctrine” of the kingdom of God would “appear to most men a novelty” (III, 38). A final possibility is that Hobbes has been appropriated by secular political philosophy. Whether this is a matter of perception or reality is moot. He undeniably occupies one of the peaks in the story of Western political philosophy. The same cannot be said for political theology. To explore this possibility further, let me briefly discuss the contrasting ways in which Oliver O’Donovan and Mark Lilla understand Hobbes’ legacy in relation to political theology. In The Desire of the Nations, O’Donovan recounts his “excitement” at discovering in Leviathan “a Great Tradition of political theology, almost unknown to today’s theologians” (p.xi). He thought “Hobbes the theologian” could do with a “rehabilitation.” But he also acknowledged that Hobbes marked “the point at which the Tradition…abdicated, leaving the characteristic problems of modern political theory in its wake,” which for O’Donovan is the absence of God (p.xi). Lilla, in contrast, writing in The Stillborn God thinks Leviathan “contains the most devastating attack on Christian political theology ever undertaken” and credits Hobbes with charting an escape route out of political theology, the perennial temptation and problem Lilla thinks has dogged political thought since time primordial. So is Hobbes the last great political theologian before its rediscovery in the twentieth century or political theology’s executioner? The truth is probably to be found in Aristotelian virtue: a mean between two extremes. I think Lilla has conflated effect and intent. By construing politics as a matter of will, guided and constrained only by reason and the law of nature, Hobbes undoubtedly did contribute to laying the foundations for a purely a secular account of political order and government—secular in the modern sense of non-sacred. For once alternative non-divine explanations for the existence of man, reason and nature became available, political thinkers quickly grasped that there was no longer any need to even posit what Lilla aptly called “deus absconditus” (26). But this is to talk about the effect of Leviathan, and a long term one at that, with much intervening water under the proverbial bridge. Lilla writes as thought Hobbes intended to destroy political theology and only engaged Scripture and theological doctrine as a strategy in apologetics, a means of making his radical secular vision more palatable to a superstitious era. But there is every indication that Hobbes’ idiosyncratic theology and hermeneutic emerged from a genuinely-held Christian faith. When he referred to God as “creator,” he did not do so metaphorically anymore than he appears to have when speaking of Jesus’ future reign on Earth. While I believe he did seek to minimize the role and authority of Scripture, theology and the divines of his day in shaping political order, it was to banish theological superstition and rancor rather from politic rather than theology altogether. Leviathan, therefore, probably still represents a genuine effort to wrestle with what Lilla refers to as the “divine nexus between God, man, and world,” rather than to completely disentangle them (55). It is also far from clear that Hobbes would greet the disappearance of political theology altogether from political thought with the same alacrity as Lilla. In the case of O’Donovan, I think he has probably underestimated the extent to which Hobbes sought to subjugate political theology. In The Desire of the Nations, O’Donovan argues that God exercises his kingly rule providentially through the judgments made by secular governments in the light of Christ’s triumph over the nations. Leviathan, I think, inverts this order. Hobbes essentially argues for the triumph of the nation—the civil commonwealth—over Christ. Leviathan assures us that Christ will come again one day to rule. In the meantime the task of politics falls to humans and is a matter of freedom, will and reason, albeit united in one Christian body under the sovereign. In any event, O’Donovan and Lilla are in agreement that Hobbes is one of the pivotal figures in the history of political theology, and I for one think they are right. In itself this is reason enough for contemporary political theology to pay greater attention to Leviathan. The fact that his contribution to political theology is disputed provides still greater reason. 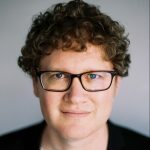 Jonathan Cole is a research member of the Centre for Public and Contextual Theology, Charles Sturt University (CSU), Canberra, Australia, and a PhD candidate in Political Theology at St Mark’s National Theological Centre, CSU. He spent 14 years working in the Australian federal civil service in the areas of Immigration, Health and Intelligence. He spent seven of his 14 years working in two intelligence agencies as a Senior Terrorism Analyst. He has an MA specializing in Middle Eastern politics and Islamic theology from the Australian National University. He speaks Arabic and is an expert in Islamist terrorism. He also has a BA Honors in Modern Greek language and history. He wrote his honors thesis on the politics of linguistic nationalism in nineteenth century Greece.